Usain Bolt is determined to become a legend this weekend, by running the 100m in 9.4 seconds. But what does mathematics have to say about this quest? What is the ultimate limit which no runner can possibly surpass? 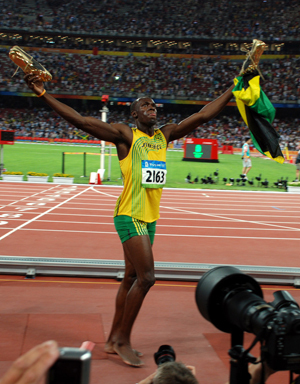 How can Bolt improve his record significantly without improving his speed? What about the effects of wind assistance, timing accuracy, and altitude on sprint times? Find out about all this and more in the Plus article No limits for Usain and in this video of a lecture given by John D. Barrow and featured on our sister site Maths and sport: Countdown to the Games. You win a game if you score 4 points before your opponent scores 3 points. Or, if you both score 3 points at some stage you win if you manage to score 2 points in a row after the 3-all stage before your opponent does. Any win for tennis? — Work out the probability of winning a game for a fixed probability of winning a point. This challenging activity is designed to be accessible to students of A-level maths and anyone else who likes puzzling over probabilities. Anyone for tennis (and tennis and tennis ...)? — What's the chance of a tennis match taking on epic proportions like the 11 hour battle between John Isner and Nicolas Mahut at Wimbledon in 2011? Final score — Why are there so many different scoring systems in operation in sport? This video of a lecture given by John D. Barrow looks at how structuring matches into a series of sets affects the relative roles of luck and skill in determining the winner of the contest. 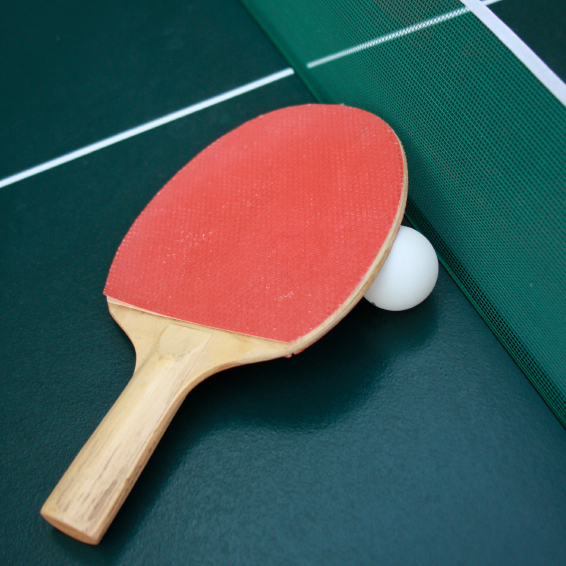 It also looks at issues surrounding scoring in table tennis and decathlon. Making a racket: the science of tennis — While the players get most of the limelight, engineers, too, are working hard to produce the cutting-edge tennis rackets that guarantee record performances. Over recent decades new materials have made tennis rackets ever bigger, lighter and more powerful. So what kind of science goes into designing new rackets?